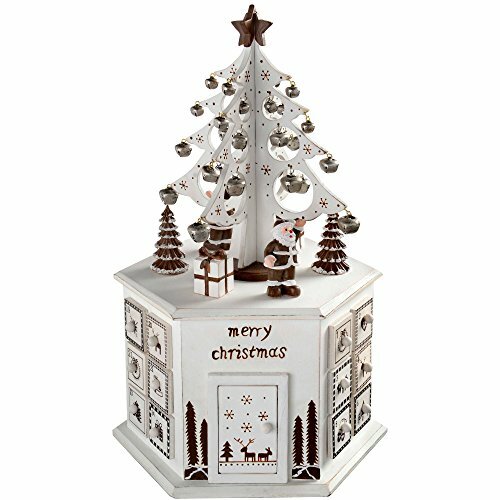 WeRChristmas Wooden Tree Advent Calendar Tower Christmas Decoration, 36 Cm - White by WeRChristmas at Two Clock. MPN: WRC-7097. Hurry! Limited time offer. Offer valid only while supplies last.